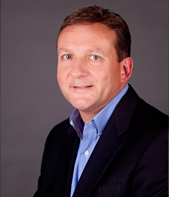 London, UK and Austin, TX, Oct. 23, 2013 ⎯ OpenSymmetry, a global sales performance management (SPM) consulting firm, announces the promotion of Ray Wolf from SVP, Professional Services to President. With its expanded leadership structure OpenSymmetry will continue to drive customer success globally, through high value SPM solutions. The change accelerates OpenSymmetry’s growth through partner relationships, and into corporate performance management, business intelligence and talent management services. “This is a time of enormous growth and opportunity for our company, and our new executive role will enable us to expand our channel ecosystem and solution portfolio. We will continue to meet the needs of customers and ensure excellence in everything we do,” said Todd LeBaron, CEO and chairman of OpenSymmetry.